As a busy mom of two young kids, I am often putting my family’s needs above my own and that’s okay with me- most of the time! However, I do appreciate the value of taking some time for myself on a regular basis. When I get the opportunity to focus on myself, I like to indulge in a relaxing, pampering self-care routine. Last weekend, I had a glorious time doing my manicure, pedicure and a full facial. I also colored my hair with Schwarzkopf Keratin Color in shade 4.7 Bordeaux Red. I can’t wait to share with you the Before & After photos of my hair. 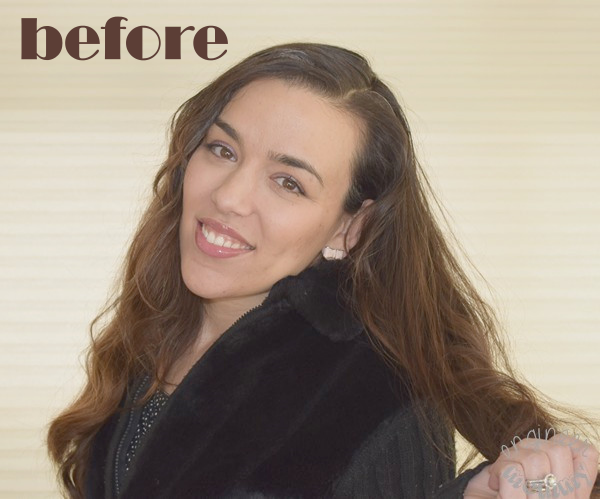 In only 30 minutes, I was able to get younger-looking, vibrant hair from the comfort of home! 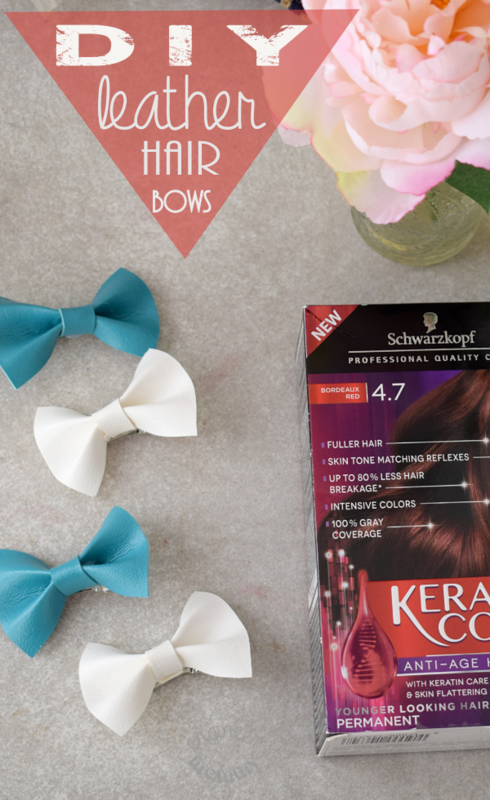 I will be sharing more details about my hair coloring experience later in the post, but first, I want to share a quick, easy tutorial for making some DIY Leather Hair Bows. 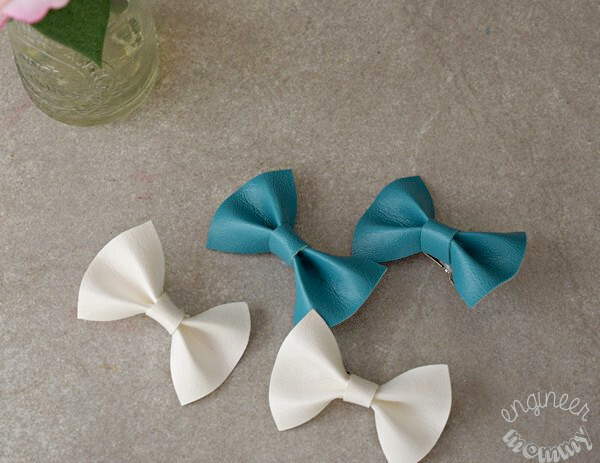 These gorgeous little bows are made from leather (or vinyl) fabric and come together in under 20 minutes. 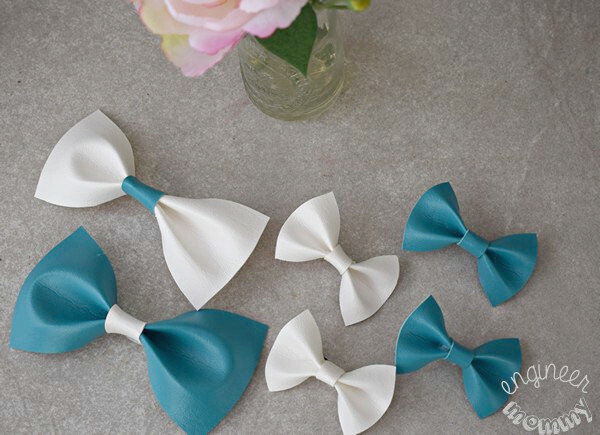 These bows are the perfect way to keep hair off the face in a stylish way. 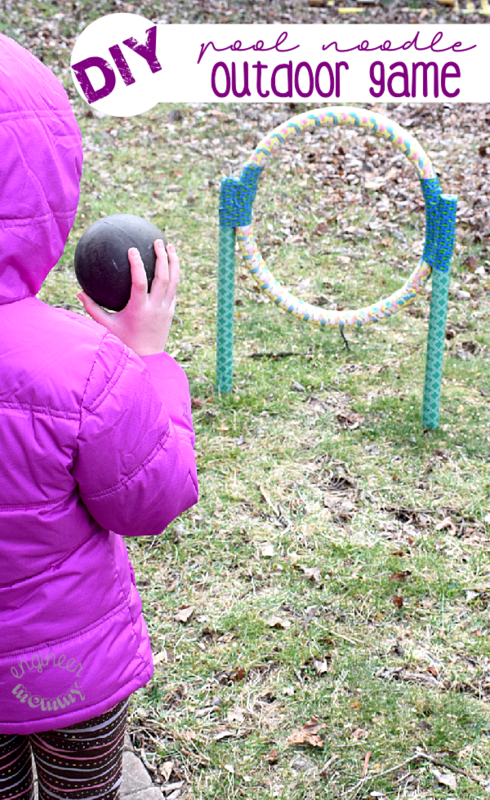 Plus, I love that this project is a no-sew project, so there’s no need to be an expert with a sewing machine. Take one rectangle that’s about 3″x1″ and fold it into an accordion shape, as in the following picture. Use the printable template. Apply hot glue only to the center of the bow (on the front and the back). See how the bow holds its shape now. 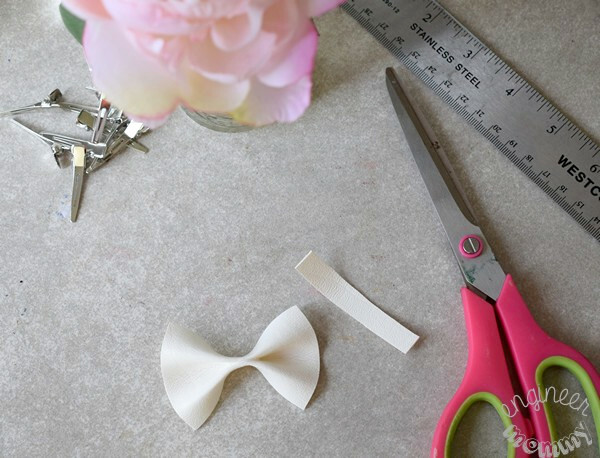 To finish off the bow a bit more, cut out a thin strip of fabric, about 0.5″ x 1.5″. 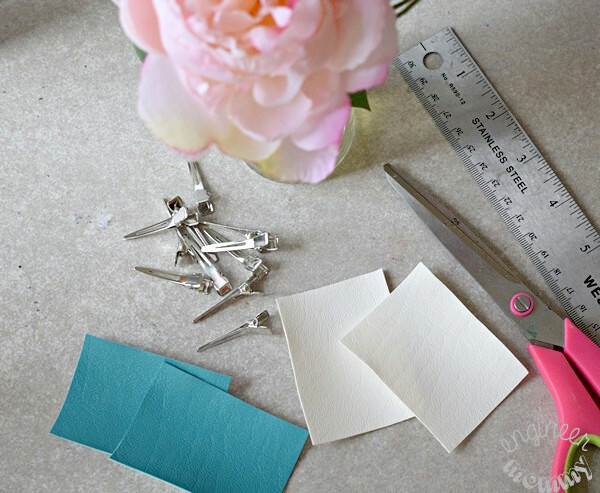 Wrap the thin strip around the center of the bow and secure with hot glue on the back. On the back of the bow, use some hot glue to secure an alligator hair clip. Don’t have an alligator hair clip? You can even secure a regular bobby pin to the back of this bow. I made a set of four of these little bows: two blue and two white. 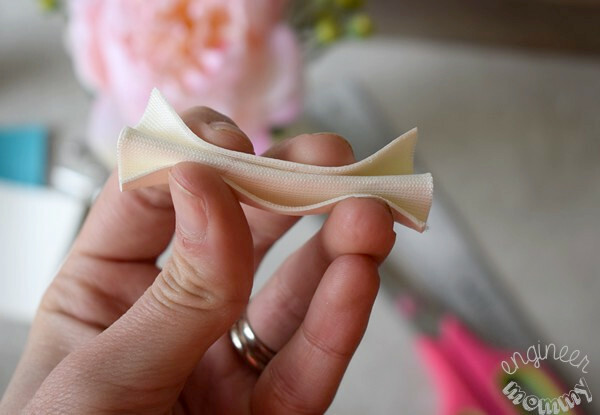 I love the texture & small size of these fabric bows. I loved these bows so much that I wanted to make a few more in a larger size. I simply scaled up all my original dimensions and made these larger ones. I know my daughters will look fabulous in these bows! A few of the smaller ones are definitely going on my vanity table. I love using one of these hair clips to stylishly keep the hair off my face. Speaking of my hair, I recently changed my hair color and I can’t wait to share my experience with you. As a former hair model, my hair has been through plenty of treatments and processes over the years. Needless to say, my hair was due for some TLC. 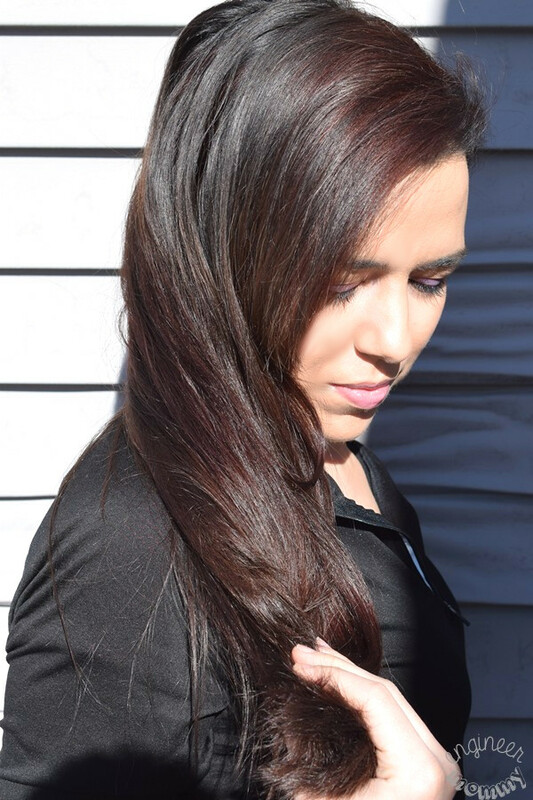 I love that Schwarzkopf Keratin Color contains Keratin Care Complex and Skin Flattering Pigments. The hair coloring treatment was so easy to use and I love the beautifully intense color result. First of all, here’s a Before picture of my hair. It was a medium chestnut brown, but the color was uneven from my roots to my ends. Furthermore, I have some gray hair strands at the top of my head (fun fact: I actually got my first gray hair when I was a teenager!) You can’t see the gray hair if I part my hair on the side, but if I part my hair in the center, the gray hair is obvious! I love that Schwarzkopf Keratin Color offers 100% gray coverage! I picked up the Schwarzkopf Keratin Color Anti-Age Hair Color, 4.7 Bordeaux Red. 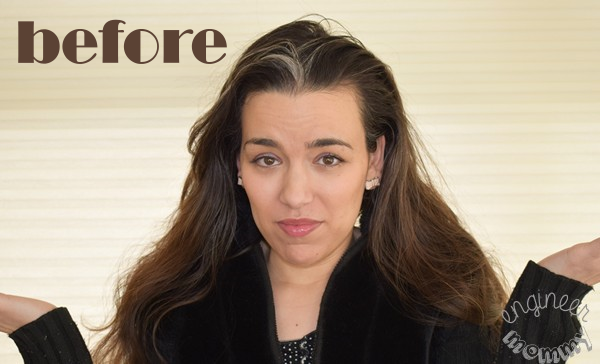 This product results in gorgeous, professional-quality hair color at home in only 30 minutes. Here is my After picture. I really love how gorgeous and shiny my hair looks after using Schwarzkopf Keratin Color. Not only is my hair shinier, but it also feels healthier and more manageable. With this hair color formulation, there’s definitely less hair breakage, which is always something to smile about! Check out my hair’s shine in broad daylight! By the way, I have been receiving plenty of compliments on my hair over the last several days. 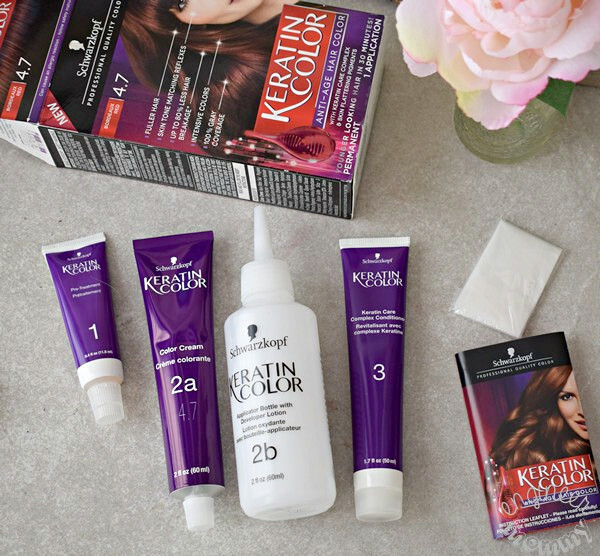 Schwarzkopf Keratin Color comes with both a pre-color treatment (for an even color result) and a post-color treatment (for moisture restoration). 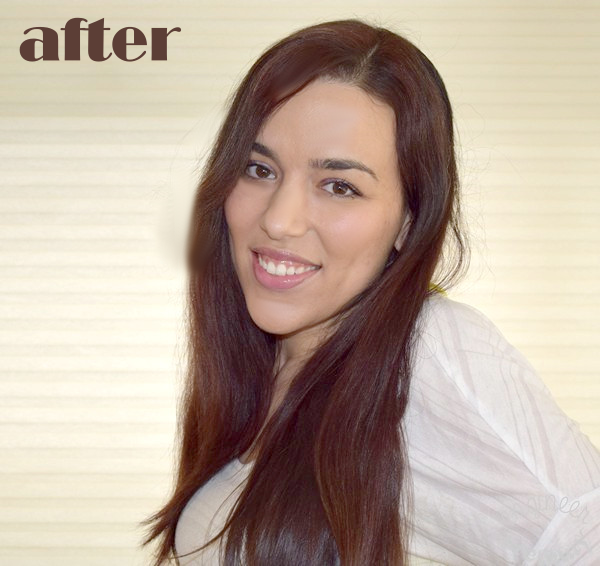 This post-color conditioner really helped to make my hair look and feel healthy after coloring. I simply applied it to my hair after rinsing out the hair color solution. 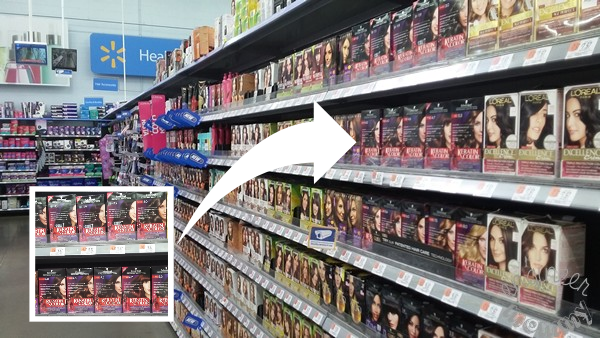 Look for Schwarzkopf Keratin Color in the hair care aisle at Walmart. 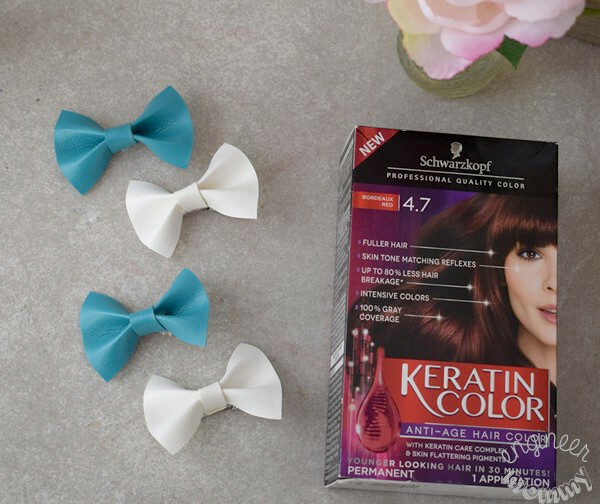 Find out how you can improve your own hair color game with Schwarzkopf Keratin Color and tell me: Have you ever made your own DIY hair bows? When was the last time you colored your hair? Would you be interested in trying vibrant, professional-quality hair colors from the comfort of your home? Those bows are super cute. I want to make some to surprise my nieces with the next time they come over. The leather hair bows are adorable and I love your new color! I always have my hair colored at the salon. It looks good, but It’s so expensive. I love that there’s an at-home color that actually looks like it was done at the salon. Your hair is gorgeous! I love the shine afterwards and how it looks so healthy! The colour is really rich and it suits you. You’re stunning! And those bows are adorable! My daughter would be making bows all day if I showed her this technique. They came out so cute and they’re so easy. 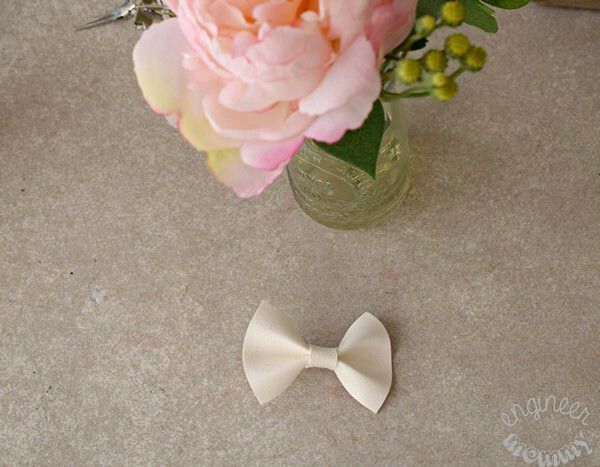 These are chic little bows! And I love your new hair color – it does look like it was done at a salon. Those hair bows are so cute! I used to make my girls bows with regular material, but I really like the leather! Awesome! 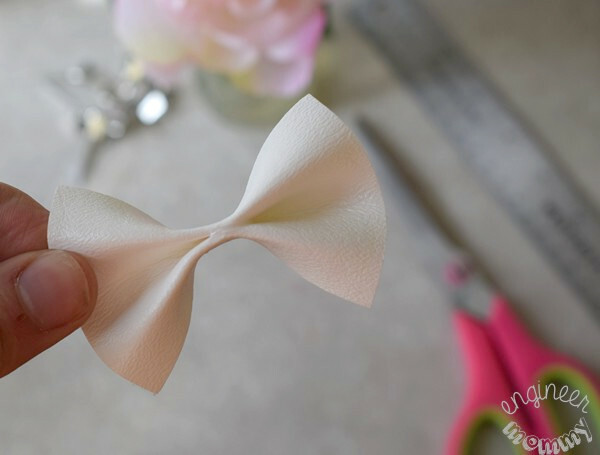 I can’t believe it is that easy to make a leather hair bow. I’m going to ask my sister for scrap leather. Their hobby is to make purses, belts, bags, etc. with leather. I know they have some small pieces that I can make into hair bows. Thanks for the idea. Your hair looks beautiful! 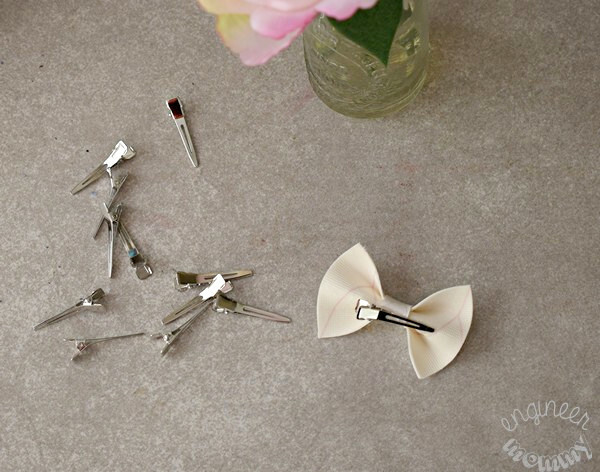 I love these little bows – theyre so cute. The bows are super cute, and very creative. The red coming through looks very flattering on you. These bows are super cute!! Great post!! You look great! I love these leather bows. I have some leather scraps I didn’t know w hat to do with. This is a great idea. Great post! I love to change my hair colored. I always have my hair colored at the salon. It looks good, but It’s so expensive. Those bows were a lot easier than I expected. My girls loves bows in her hair and I’m always trying to find new ones for her. Wow! 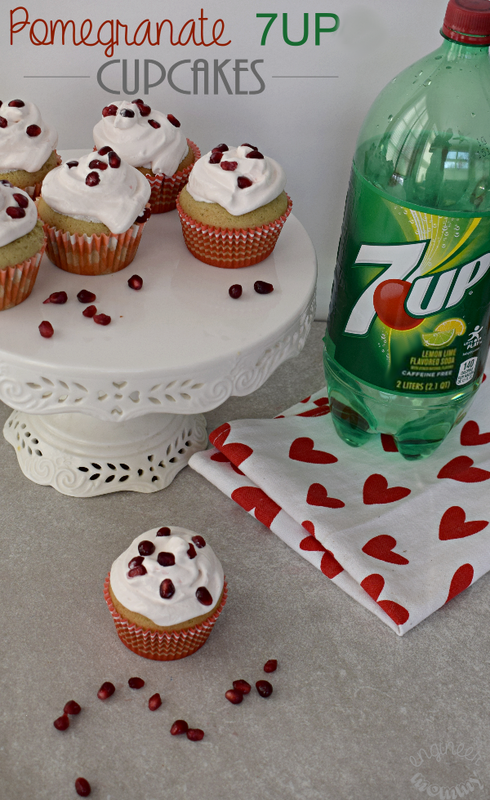 These are so cute and look easy enough for me to make them! Thanks for the how to! The cutie leather hair brows gives a new look and glamour to you. Good to know you have your pampering time too. Sometimes we need to reward ourselves for all the hard work too.